Bill and I are in Lexington visiting Billy. We missed Amanda! She traveled back to Springfield today for a wedding but we are hoping to see her on our way back through Kentucky. 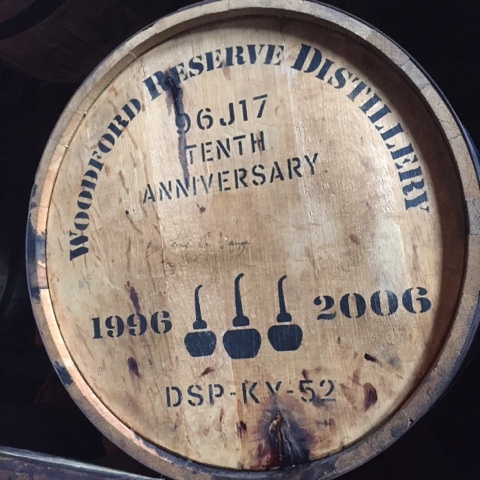 Today we toured the Woodford Reserve Bourbon Distillery. 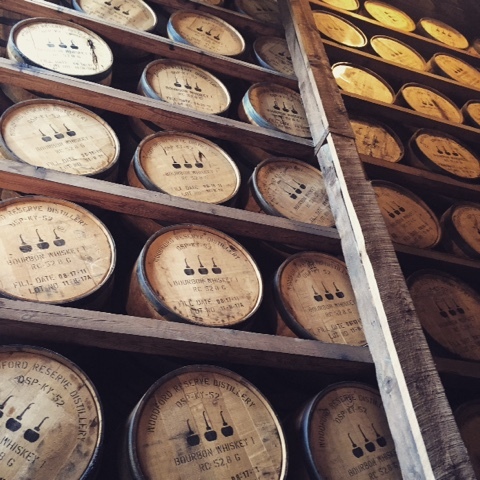 Wow I never realized how long it takes for Burbon to be ready for bottling. In our tour we learned it is generally 4 to 10 years. In this building there were 5000 barrels. I also learned I am not a Bourbon fan. We also went to a wine tasting at Talon Winery. Here I sampled a white sweet wine that has been put in a Burbon barrel and I did like that. It had the Burbon flavor but without the heat that Burbon gives you on its way down. 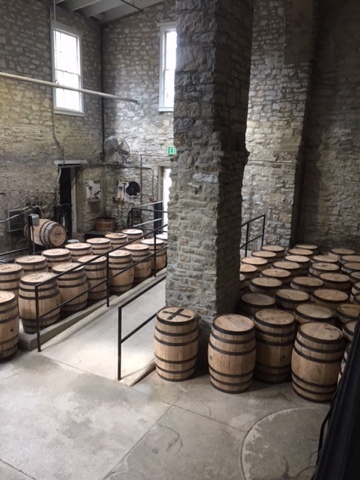 In the above picture these barrels are being prepared for filling. The addition of whipping cream and chopped peanuts takes the custard to a whole other level. The crunchy nuts remind me of adding nuts to an ice cream sundae.... YUMMY! 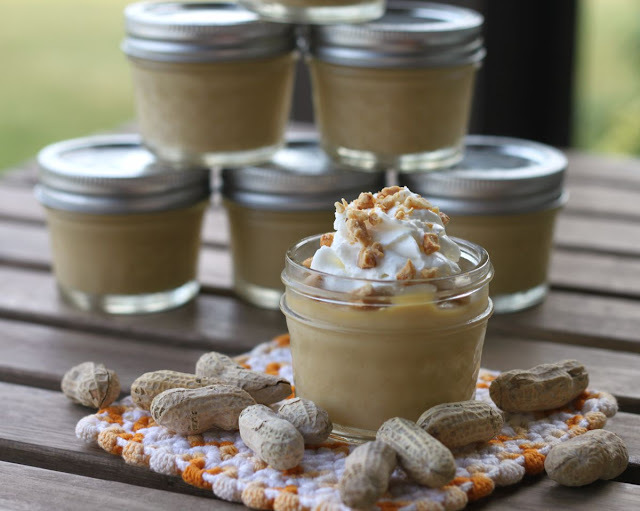 I put my custard again in these mini canning jars so that it would be easy to take with us in the cooler. 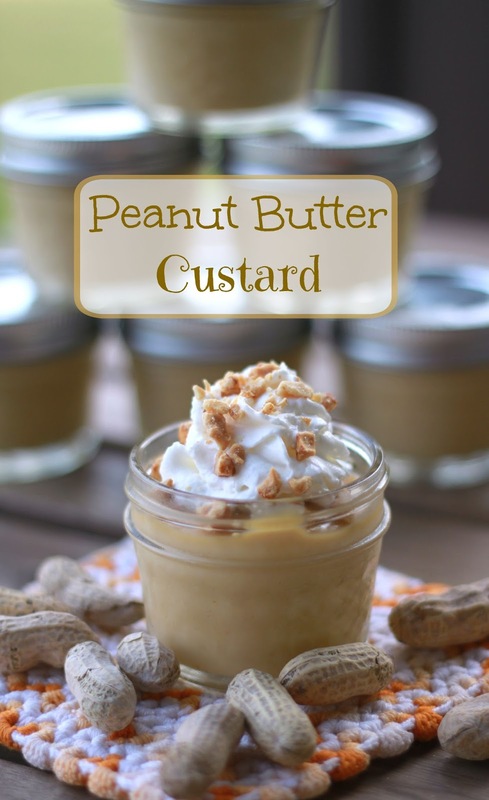 The custard is going to be an awesome dessert to enjoy while we are hiking in the Smokies! In a sauce pan mix together over medium heat the whipping cream, half and half, sugar and salt. Bring to almost a boil. Take off heat. Temper the egg yolks by adding a small amount of the hot liquid to the egg yolks and stir fast to incorporate the hot mixture without cooking your egg yolks. Then place the sauce pan back on the stove and add in the egg yolks. Continue to stir until the mixture begins to boil. 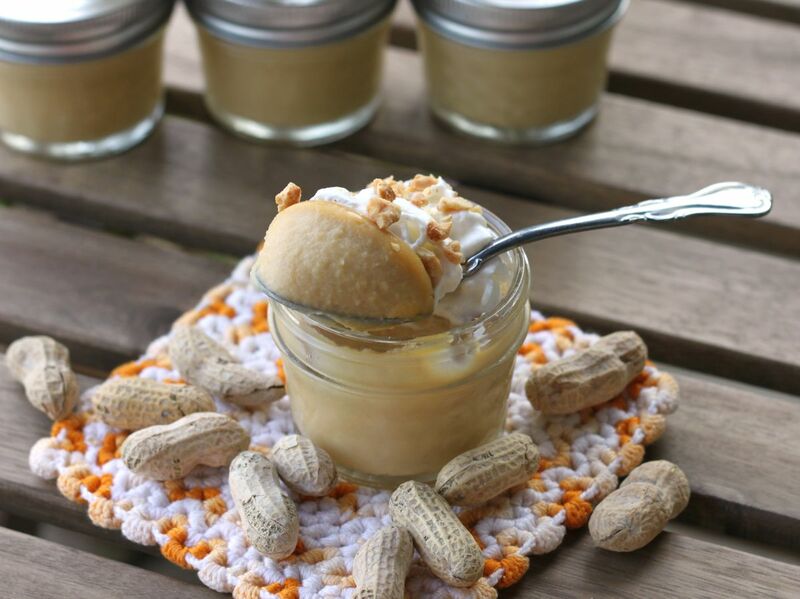 Take off the stove and stir in the vanilla and peanut butter. 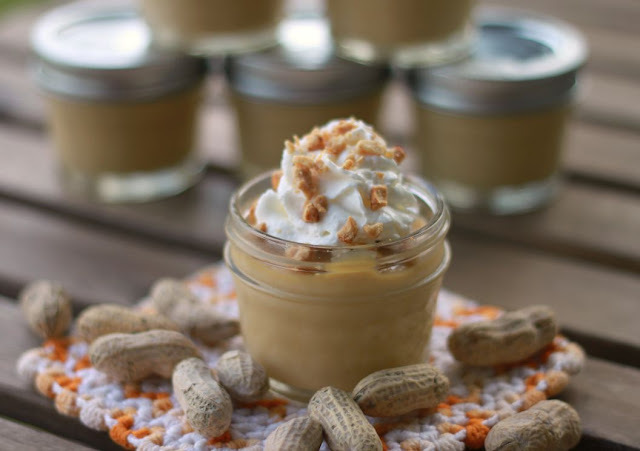 Stir until peanut butter is melted and mixed in. Pour the pudding into dishes (I used 7- 4 ounce dishes) and place in the refrigerator for at least 2 hours or overnight. Nina, this looks so delish. I love creme brulee and custard. But I've never made it with peanut butter. I love peanut butter! So does my family, this is definitely going on the menu! Pinning. Thanks for sharing. It sounds interesting and really good! :) Pinning and saving for later. Visiting from The Pin Junkie!